© Brendon Curtis. All rights reserved. 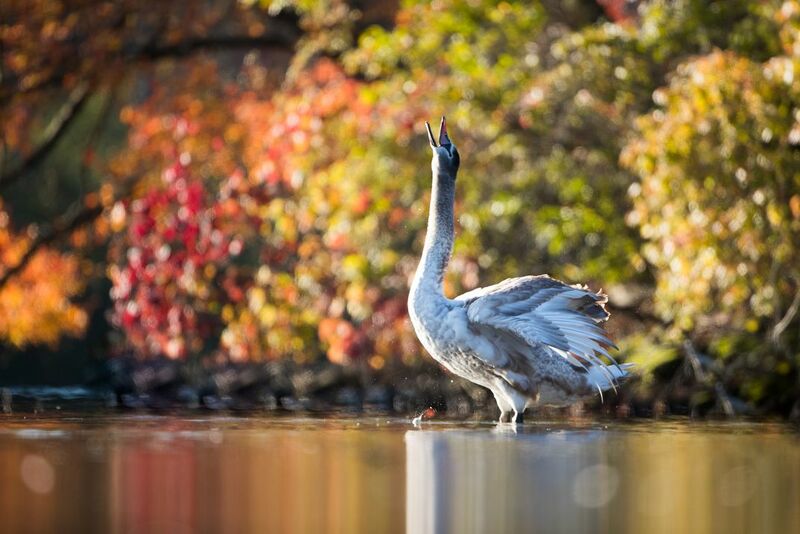 A Juvenile Mute Swan shaking out in front of Autumn foliage in Marlborough Massachusetts. Just after Sunrise this morning this Juvenile Mute Swan swam over in front of this gorgeous foliage and began preening. I waited shortly for him to shake or flap his wings and the wait paid off! Date Uploaded: Oct. 29, 2018, 1:28 p.m.